I found this article interesting. Also didn't realize Bulova tried playing politics against Omega. And the American flag that wasn't. 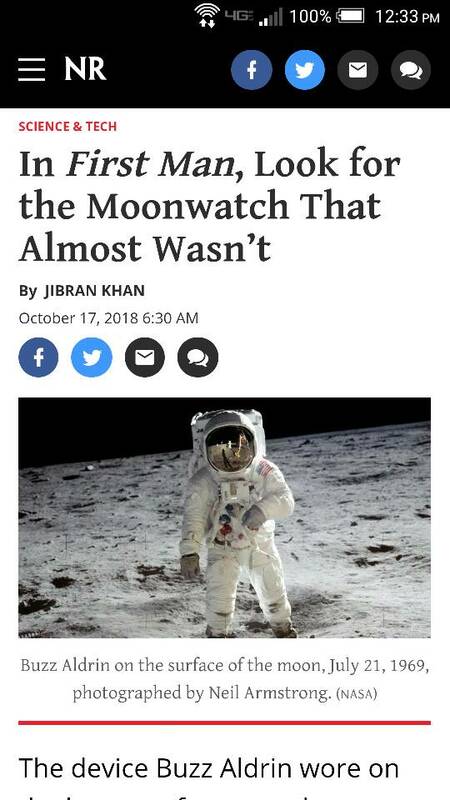 Buzz Aldrin won't have anything to do with the movie. I’m always skeptical of space movies. Lovell seemed to have good things to say about Tom Hanks and Apollo 13, but I remember an insider telling me a long time ago that people of the space program disliked ‘the right stuff’ and especially how Gus was portrayed. That bummed me out as a fan of that movie. amazingly competitive. ..Had never known about all of this honestly, so thanks !!! P.S. Wonder why Hamilton ended up offering a pocket watch !